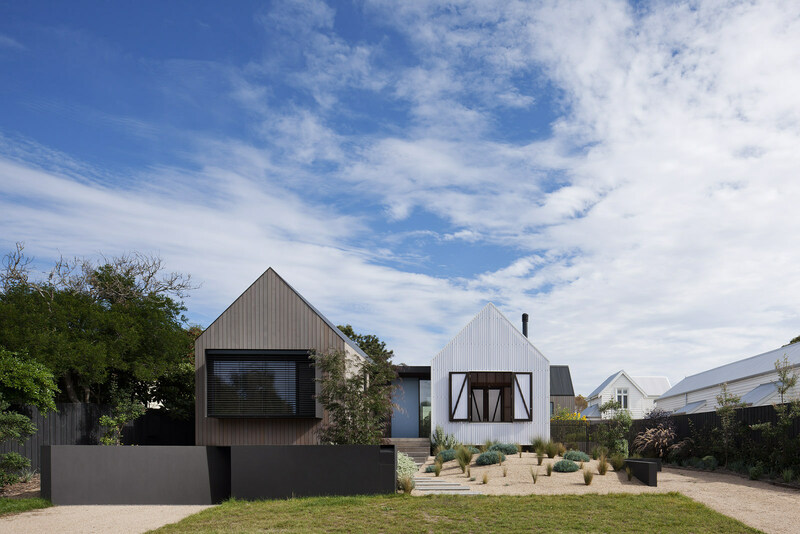 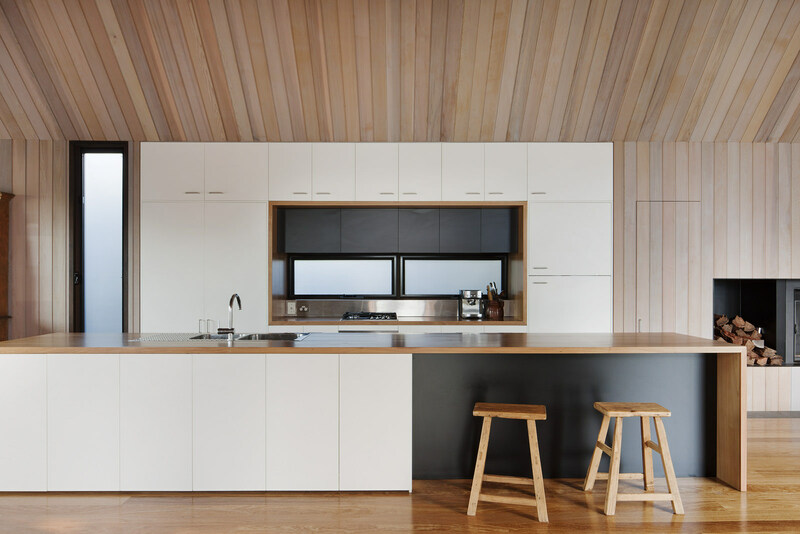 The house sits on a street surrounded by an eclectic mix of post-war weatherboard homes and an increasing number of new architectural beachside residences. 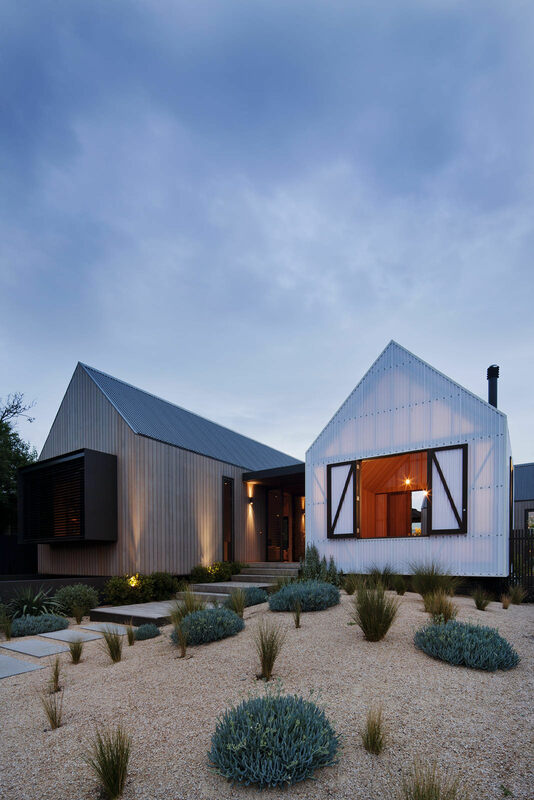 The brief called for a replacement of a deteriorated holiday shack with a beach retreat that would subsequently become a permanent dwelling. 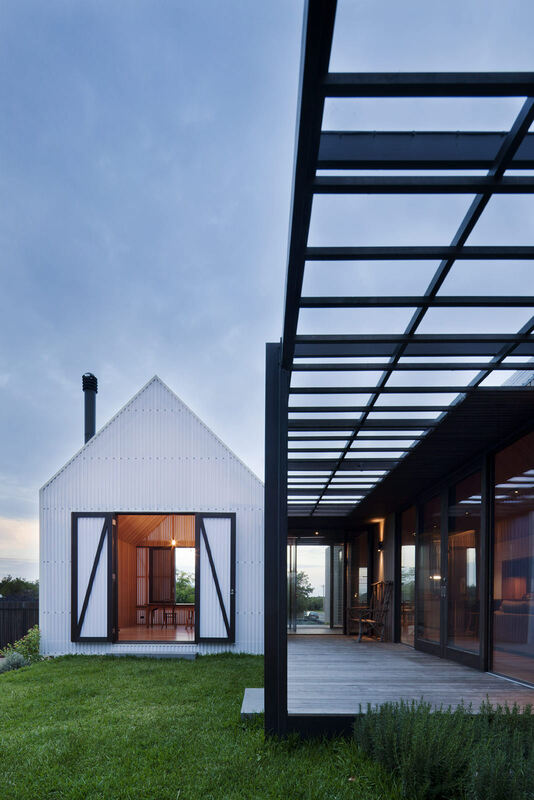 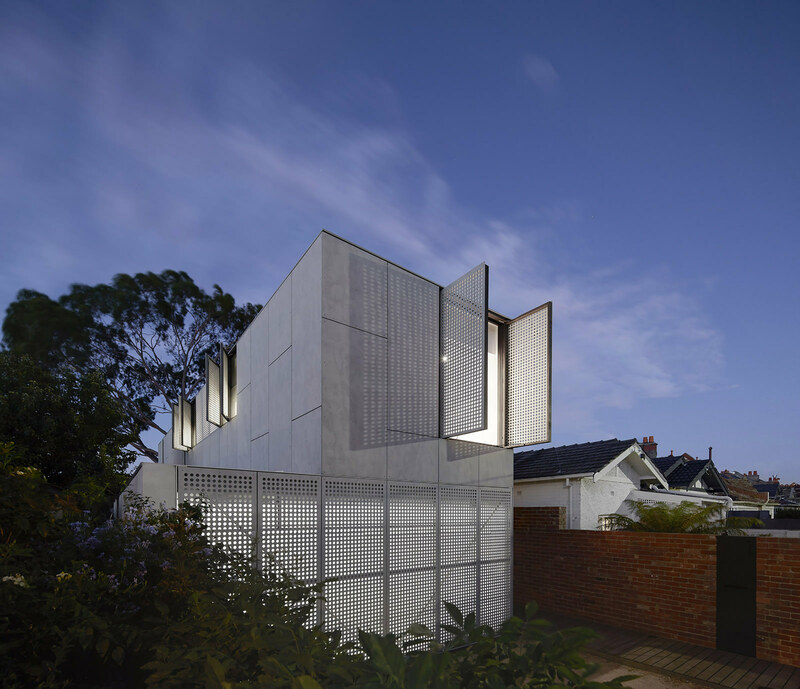 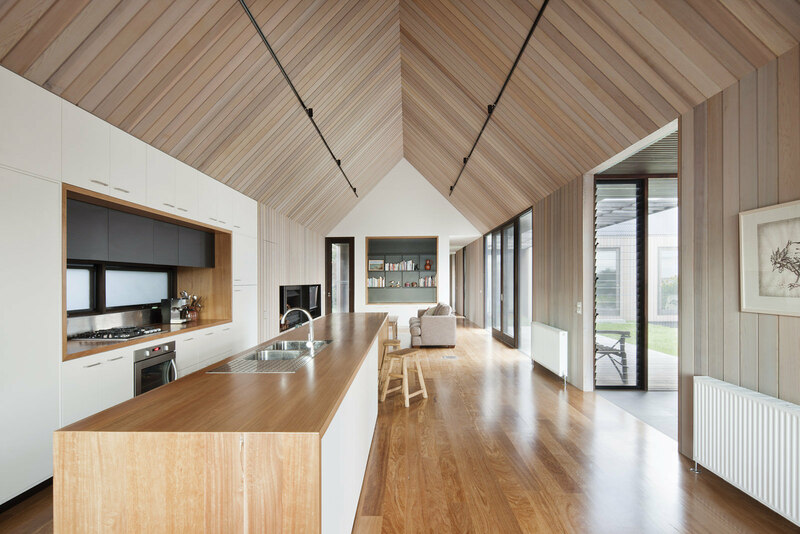 The house was to integrate with the existing fabric of the town, whilst acknowledging the changing streetscape due to property uplift. 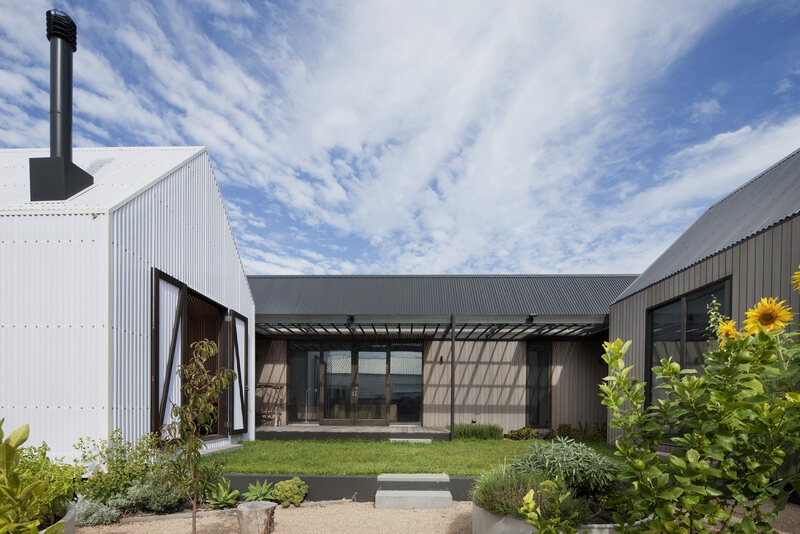 The design response therefore sought to reconcile an existing coastal lifestyle with the client’s needs in the later stages of their lives. 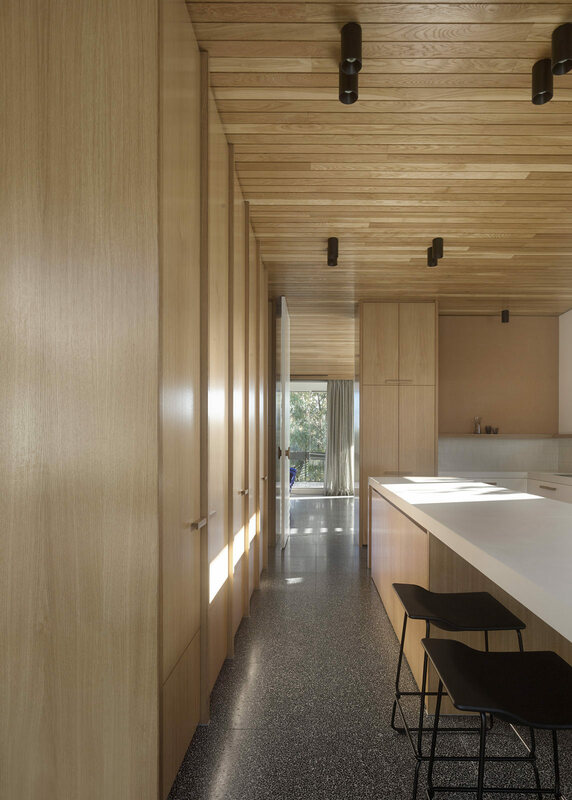 The house is split into three primary pavilions connected by glazed links that embrace a north-facing courtyard that is protected from prevailing breezes. 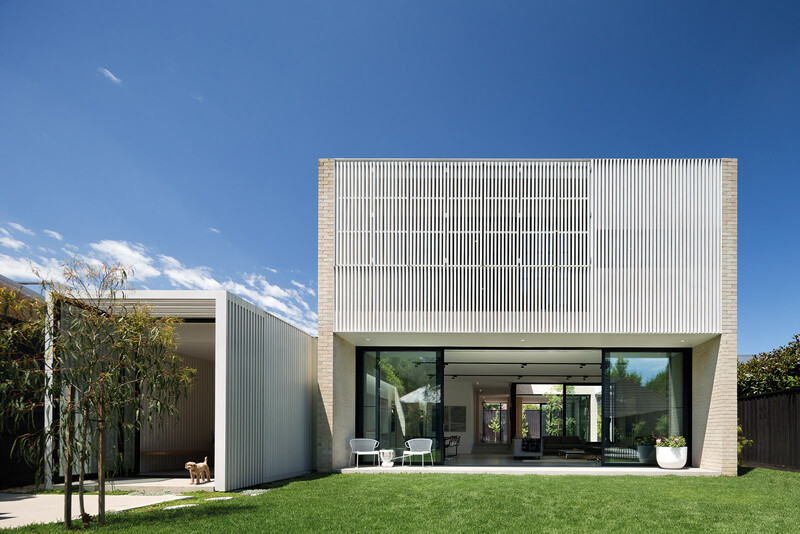 The South pavilion embraces river views through its partial elevation above the garage. 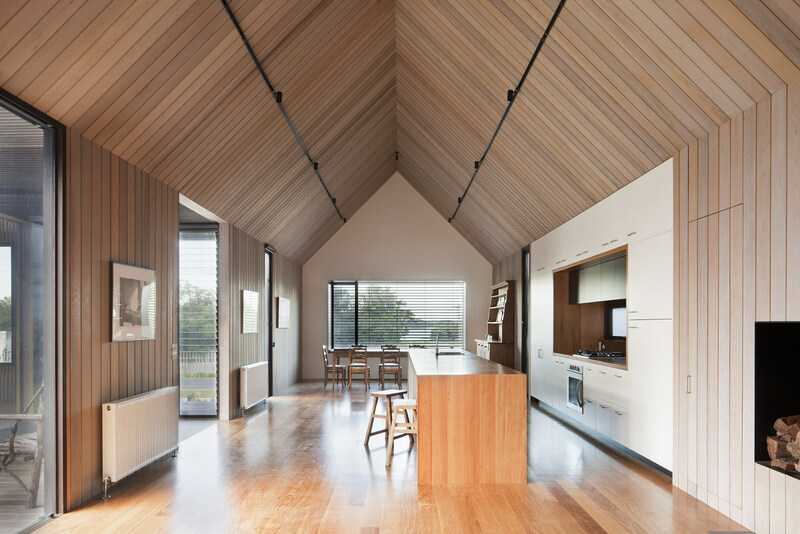 This pavilion provides the primary open plan living space and kitchen, study, laundry and guest bedroom / bathroom. 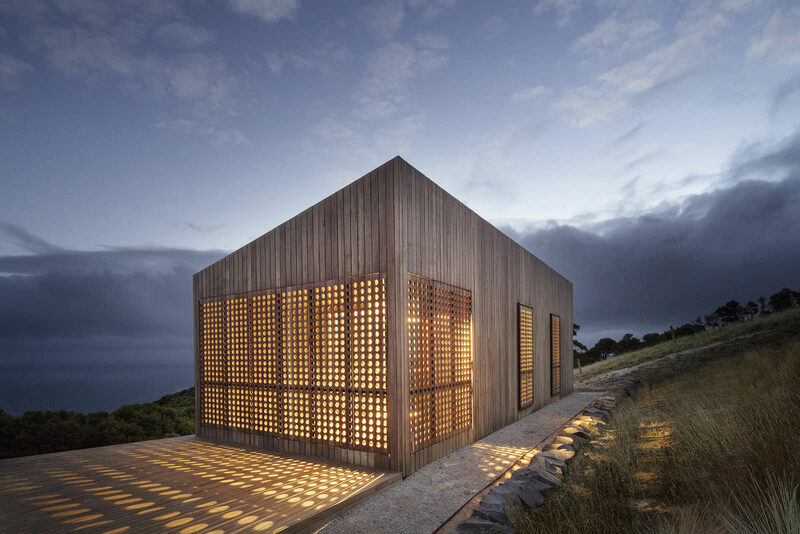 The northwest pavilion accommodates the retreat, master bedroom, walk-in robes and ensuite. 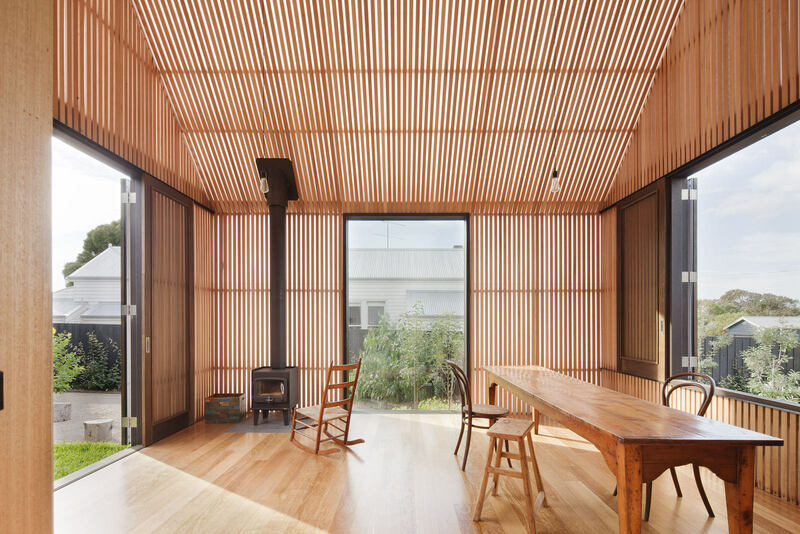 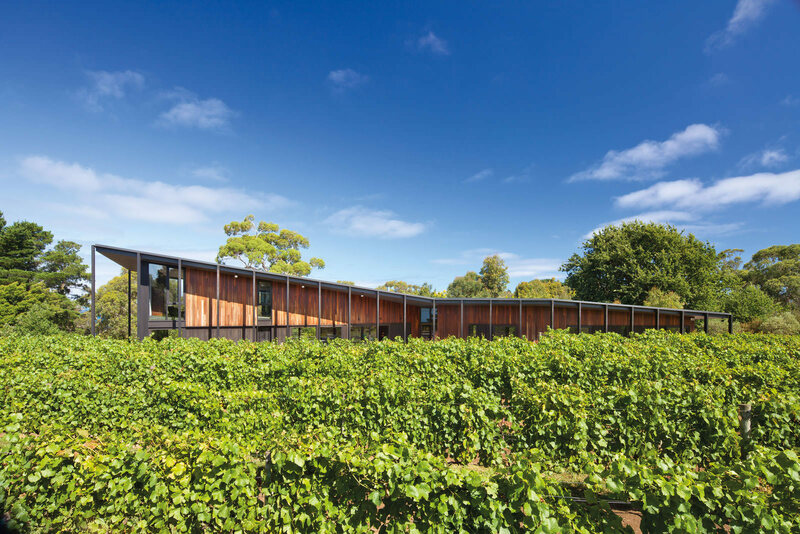 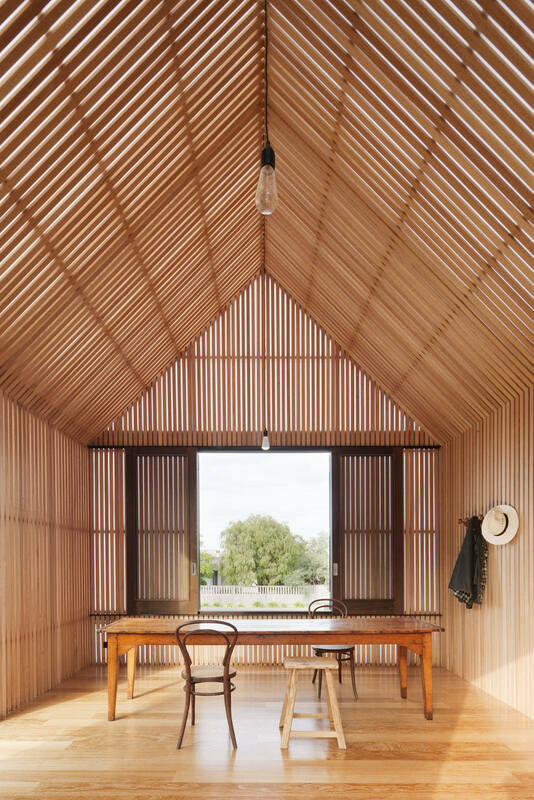 The northeast pavilion provides a shaded gauze room, referencing aspects of traditional rural woolsheds, using timber battens for shading whilst providing extensive cross-ventilation for cooling purposes. 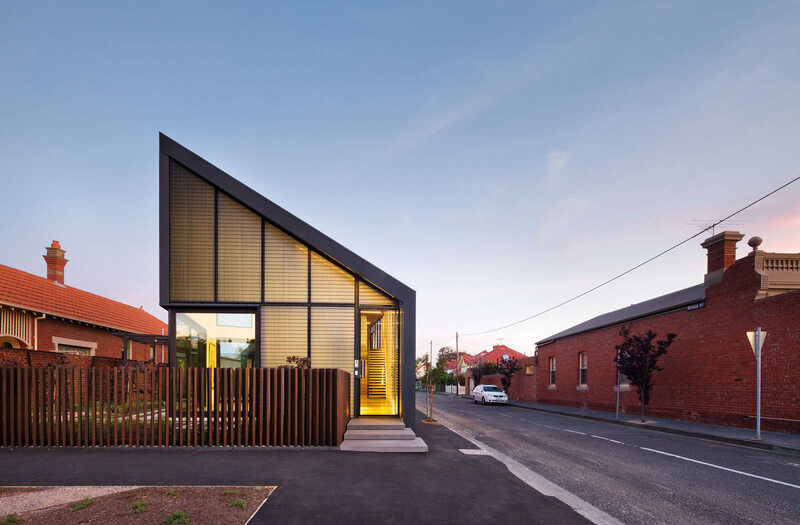 In this way the streetscape elevation combines the mixed materiality of both south and northeast pavilions.